Judge Judy is one very rich woman. The highest-paid TV host for 2018 has been revealed. 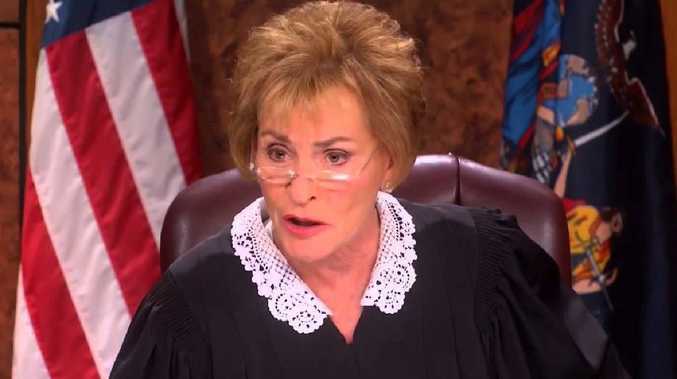 According to Forbes, Judge Judy (real name Judy Sheindlin) reportedly pocketed $US147 million ($A203 million) pretax this year, making her the highest-grossing host. In second place was Ellen DeGeneres, whose work on her daytime talk show earned her $US87.5 million ($A121 million). While Sheindlin makes decent money for Judge Judy and as a producer on Hot Bench, 2018 proved especially fruitful thanks to the sale of her back catalogue of 5200 episodes to US network CBS. The outlet estimates this earned her an extra $US100 million ($A138 million) on top of the $US47 million ($A65 million) she typically gets annually. The extra influx of cash rockets Judge Judy to become Forbes' 48th richest self-made woman in America with an estimated net worth of $US400 million ($A553 million). Daytime TV hosts took the top five spots on the list, despite many late-night and prime time hosts getting more media attention. Behind DeGeneres was Dr Phil McGraw - $US77.5 million ($A107 million) - for his work on The Bull, The Doctors and Daily Mail TV. Dr Phil is one of the most popular hosts on TV. Next on the list was Ryan Seacrest with $US74 million ($A102 million), who added American Idol back to his already busy work schedule, which includes producing Keeping Up With The Kardashians and hosting Live With Kelly And Ryan. Steve Harvey, on $US44 million ($A60 million), rounded out the list thanks to his talk show Steve, which launched last year, as well as the growing popularity of the US version of Family Feud.